The Fiat 500 has a rich history not unlike that of the Volkswagen Beetle. The original was a small rear-engine car that Fiat produced for almost 20 years. The modern version was introduced in 2007 in Europe and 2011 in America. The diminutive four-passenger 500 is larger than a Smart ForTwo, but smaller than a Toyota Yaris. 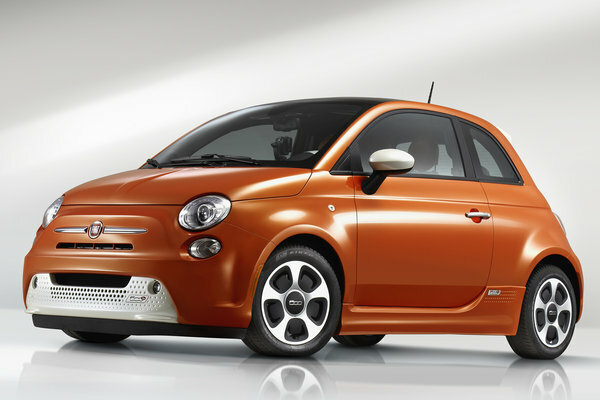 In 2013, the 500 added a dedicated electric-powered model dubbed the 500e. The 500e equips a 111-bhp electric motor. A 24kWh lithium-ion battery pack gives the 500e an estimated range of 80-100 miles on a charge. The battery pack is rechargeable in less than 4 hours at 240v. The 500e will only be offered in California at launch.